Last time, at the idol festival “Idol Star Athletics Championships”, besides injury-related news and achievements of artists, there is a funny story about Sakura ( IZ*ONE) that has been widely shared. Specifically, the fans who came to the stadium to cheer for their idols received meals from the management company. After the recording time, Sakura was starving and when she looked around, she caught sight of the delicious hot dogs in the hands of CARATs (SEVENTEEN’s fans). Seeing Sakura’s greedy eyes, CARATs invited her to eat with them and the member took a bite. 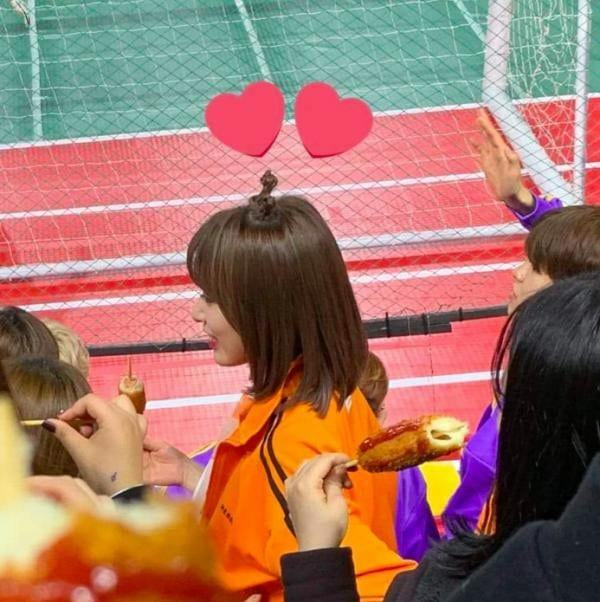 Feeling Sakura‘s cuteness, SEVENTEEN’s fans decided to give her a hotdog stick. In gratitude to CARAT for helping Sakura through the hunger that day, WIZ*ONE and especially Sakura fans posted a picture showing their streaming music for SEVENTEEN‘s new song (“Home“) with the hashtag “hotdog money” as an act of thanking for the nice action in the past. After the action of WIZ*ONE, this story once again attracted the attention of netizens. They think that the action is so cute and hope that other artists’ fandom will love each other and always be at peace like this instead of arguing and criticizing each other.